orange is alwayyys the best, no matter what it is! WOW....you are hilarious...eat the orange first!!! I am a Gator fan!!! That's hilarious. 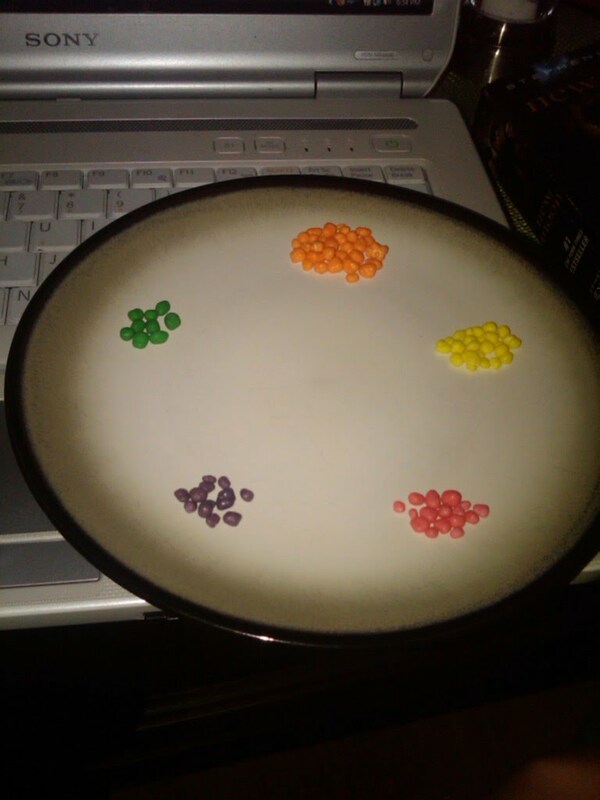 I do that with Starburts, but that's because I don't like the pink or orange ones. um, you can all send me the orange, 'cause that's my favorite! Atleast you eat your least favorite color! I seperate my colors and throw the ones out I dont like or offer them to the husband!